Are rising rates constraining home sales? SocketSite reports that mortgage rates, which have been inching up recently, may be behind a minimal increase in pending home sales last month. However, the site counsels perspective. The index, which is a forward-looking indicator based on contract signings, went up 0.2 percent in November from a downwardly revised 101.5 in October. And you thought it was time to put away your ugly Christmas sweaters? For shame! The Second Annual Ugly Sweater Party, which takes place Saturday, Dec. 28 at 9 p.m. at Public Works (161 Erie St., San Francisco) is here to tell you otherwise. Hosted by DJ Mathew Jonson, one of electronic dance music’s most distinctive voices, the event offers an intriguing fusion of music and populist ideas. Also featured are Hrdvision, Ewan Pearson and Kate Simko. Making its San Francisco debut will be the group midnight operator, consisting of Jonson and his brother Nathan. Tickets are $10-$25 presale. Make it a great last weekend of 2013! 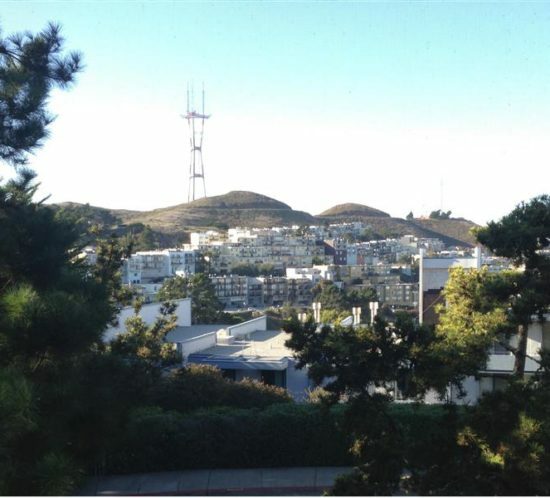 What will one month’s SF rent buy? 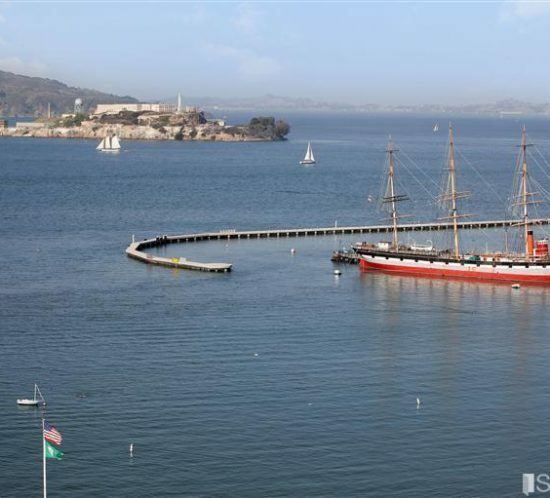 Wondering what the average San Franciscan’s monthly rent – $2,800 – will buy besides a living space? Estately was wondering that too, and came up with this article as a result. A home in Toledo, Ohio. Tempted? Read on to find out more! Then you can rejoice in the fact that you live in one of the most amazing parts of the world hands down, high rent or not. Tonight and tomorrow, Dec. 20-21, you have the opportunity to see a classic take the stage at Yoshi’s San Francisco. The legendary Count Basie Orchestra directed by Denis Mackrel, will be performing at 8 p.m. and 10 p.m. both nights. Tickets are $35 for the 8 p.m. shows and $29 for the 10 p.m. shows. Tonight’s 8 p.m. show is already sold out, so don’t hesitate! The orchestra was begun in 1935 by William Count Basie, with Kansas City as its home base. Within a year, America had hopped on the bandwagon and dubbed the orchestra “The Swingingest Band in All the Land” – a phenomenon that is still going strong today. Though Basie passed away in 1984, the orchestra has been led by powerhouses such as Thad Jones, Frank Foster, Grover Mitchell and Bill Hughes. Now Mackrel will strut his stuff. Enjoy! Property owners, beware: come next year, there are a few changes a-coming that may well have an impact on you. Daniel Bornstein of the law offices of Bornstein & Bornstein offers a list of these laws, as well as a 2014 Laws Info Sheet to keep you up-to-date on the new rules and regulations. These new laws cover a wide range, from landowner responsibilities to utility rates to smoke alarm requirements. Read on for more. 1) Prepaid rental listing service agents must be licensed. 2) Landowners with shared boundaries must also share responsibility to maintain those boundaries. 3) Owners of both multi-family and single-family rental units must test and maintains moke alarms in all units or on their properties. 4) Landlords must post utility rate schedules. 5) Human trafficking victims are entitled to tenant protection. 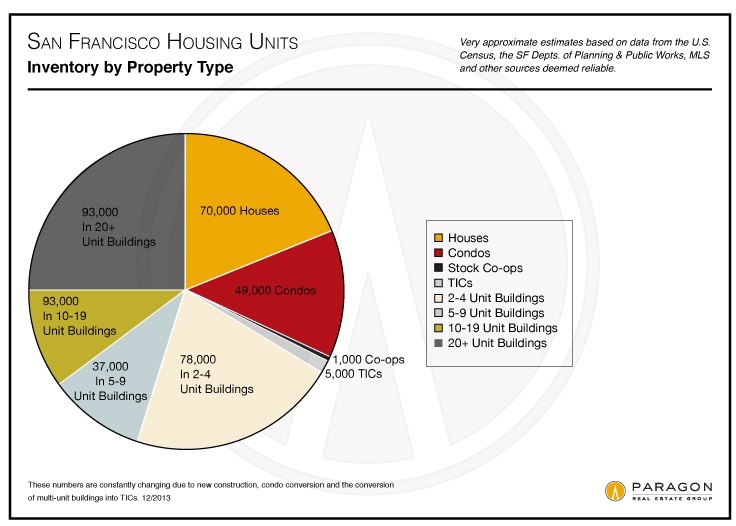 6) Owners of San Francisco multi-residential properties that permit smoking in some units must complete a process to designate each unit as either smoke-free or smoke-optional, provide applicants with a list designating units as smoking-optional and disclose this fact prior to entering into a lease agreement. This chart covers both subjects. Keep in mind that it makes sense that houses would turn over less often than condos and TICs — and indeed, this seems to be the case. Overall, it looks as though about 5.5 percent of existing houses, condos, co-ops and TICs sell each year, including both MLS and non-MLS sales, but not including new-construction condos, whose number of sales can vary widely by year. Of course, figures are nothing without context. If you want to make sense of all this, give me a call. Here’s some San Francisco hot links – and they’re tasty! These URLS will take you to lots of granular data on San Francisco’s most recent home sales and new listings. All the listing data is here and searchable in a variety of ways, including price, neighborhood and bedroom count. This list always has the last two weeks of reported MLS sales, with access to listing info and photos. This list has the last two weeks of new listings, or listings that have been updated– such as “Back on Markets” (a more frequent occurrence these days), or price reductions. Please remember these links are only good through the end of December. If you want new lists after that, email me and I will send you the updated link for January. Wishing you happy holidays in advance!